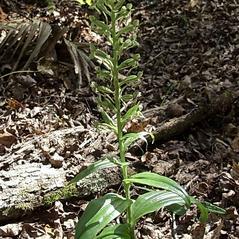 Habenaria floribunda, commonly known as the Toothed Rein Orchid, is distributed in the West Indies, Central America, Mexico, and is one of the most frequently seen orchids in central and southern Florida. 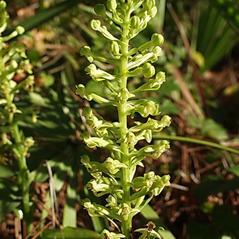 This species produces 5 to 12 glossy bright green leaves that gradually reduce in size towards the inflorescence of 10-60 flowers arranged in a raceme up to 1 m tall. The sepals are green and the petals and lip are a light green. 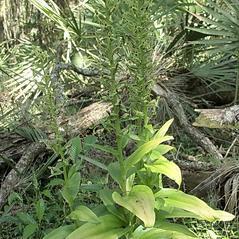 The flowers become more markedly yellow in south Florida. 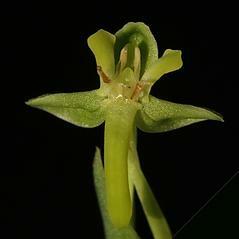 The labellum is lobed and has a spur of 25 mm in length. 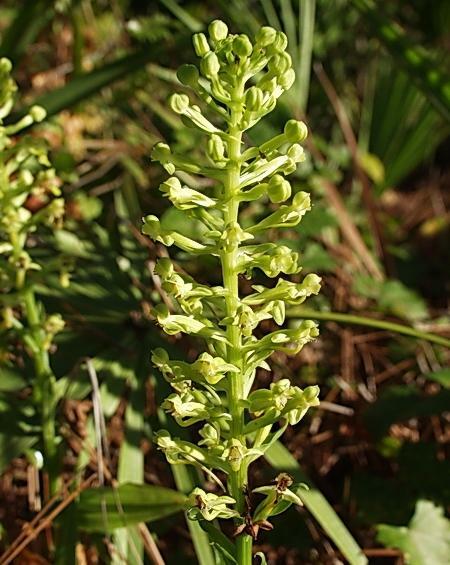 This orchid is known for its very unpleasant odor and blooms in September up north and in February in its southernmost range in rich, damp hardwood hammocks and thickets. 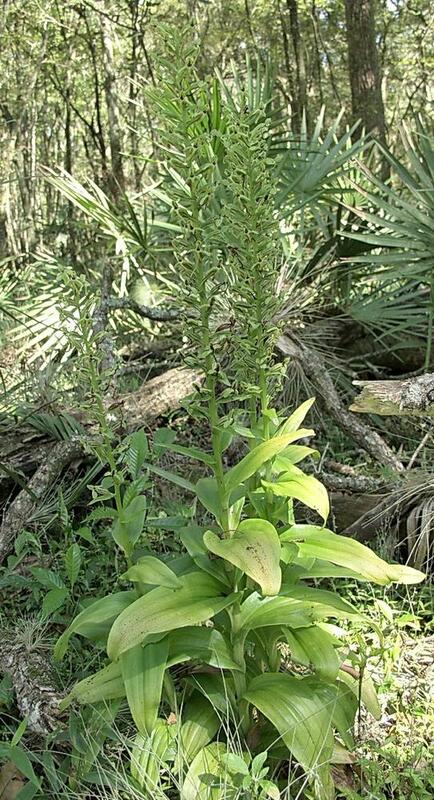 Habenaria floribunda is widely distributed across Central and South America and is apparently secure. 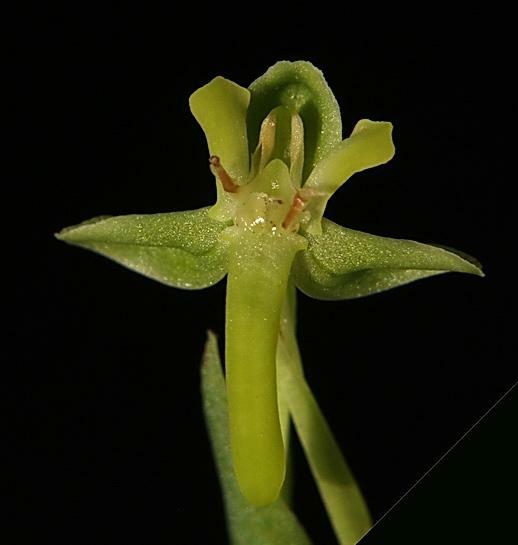 The pollinators of this orchid are unknown in North American populations but the light green to white flower color and overall morphology suggest this orchid is moth pollinated. In observations of moths pollinating Habenaria outside North America, the pollinia is usually attached to the moth’s eyes or proboscis.